We’re very late with our update this week. It’s week 5 of our One Room Challenge which means there’s only ONE WEEK LEFT!! It’s serious crunch time and after the setbacks last week we’re having to make some adjustments to the plan. 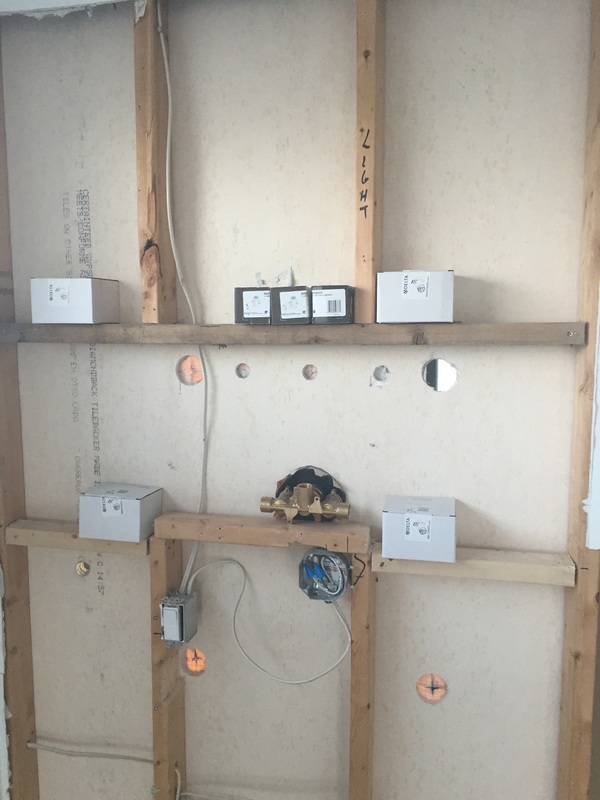 First off, our plumber still hasn’t made an appearance…which means that this is the state of our bedroom feature wall right now. We hope he didn’t have an accident, on his way here and if he did we hoped he had good van compare insurance to help him back on the road again! I know. Not exactly what you’d hope for just one short week until reveal day right?! So we think it’s time to make the call. We’re officially taking Dream Bedroom off the list. With the wall still open, there just absolutely won’t be time to get it all done. Instead we’ll just be focusing all of our efforts for this last week on the en-suite. 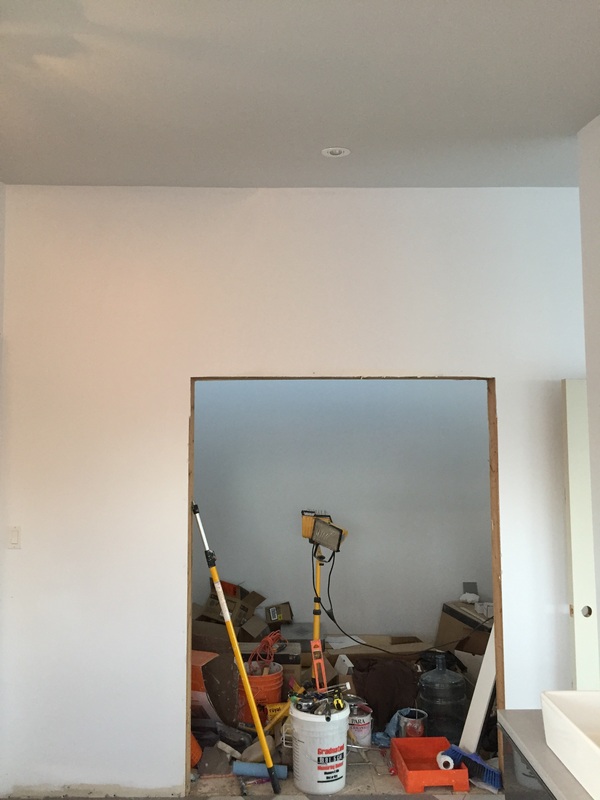 That said, without yet having plumbing fixtures installed, our Master Bath Retreat is going to be a bit bare if we don’t make some serious progress in the next few days! On the bright side, we were however able get the space painted this week, and I’m loving how bright and fresh it’s all looking! 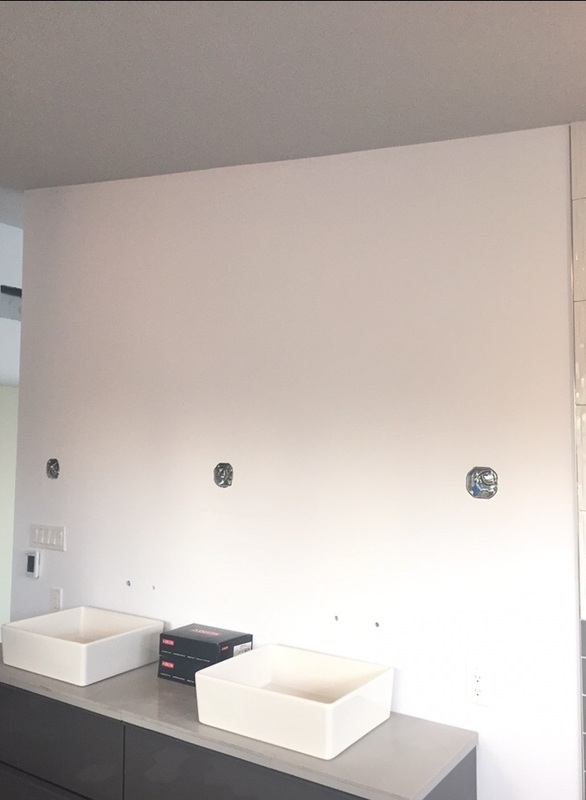 As you can also see, our sconces for the vanity are still to be installed. We don’t have them yet, but we have finally decided on the fixtures so we’ll be picking them up and getting them installed them this weekend. We also got the vanities installed & countertop in place (although it still needs to be siliconed). 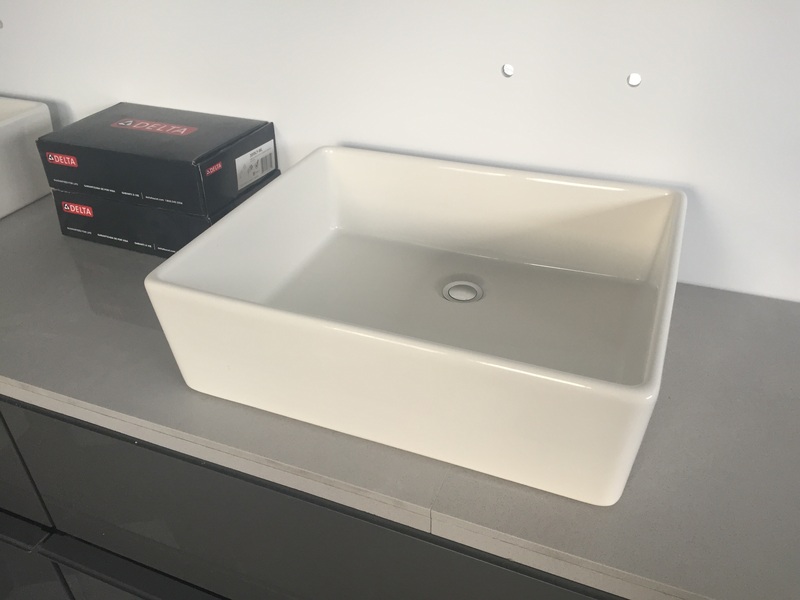 Our Loft sinks are in place as well, even though obviously the drains have yet to be plumbed. This week, we’ll also be working on getting all of this…. Our shower fixtures, toilet & other random items being stored in our closet. …put in their respective places. Remember that PARA Pixie Pop (PF-3) accent we mentioned?? So there’s still lots to do and not a whole lot of time left. We’ve got a brutal week ahead and a bit of an uphill battle. Wish us luck! Come back next week for the big reveal!! We’re feeling both excited and stressed about it since it’s going to be the first completed space in the Dreamhouse. 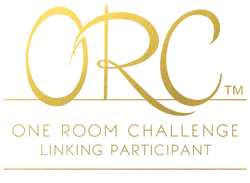 Also, don’t forget to check out the 20 One Room Challenge particiants as well as my fellow linking participants over at Calling it Home!